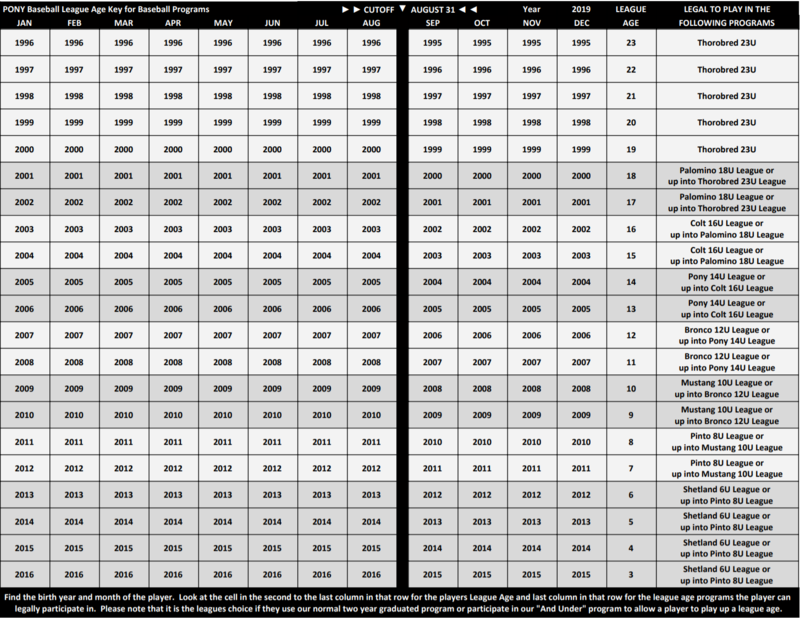 During the 2016 PONY International Board of Directors meeting, a decision was reached to change the date for determining player eligibility from April 30 to August 31. 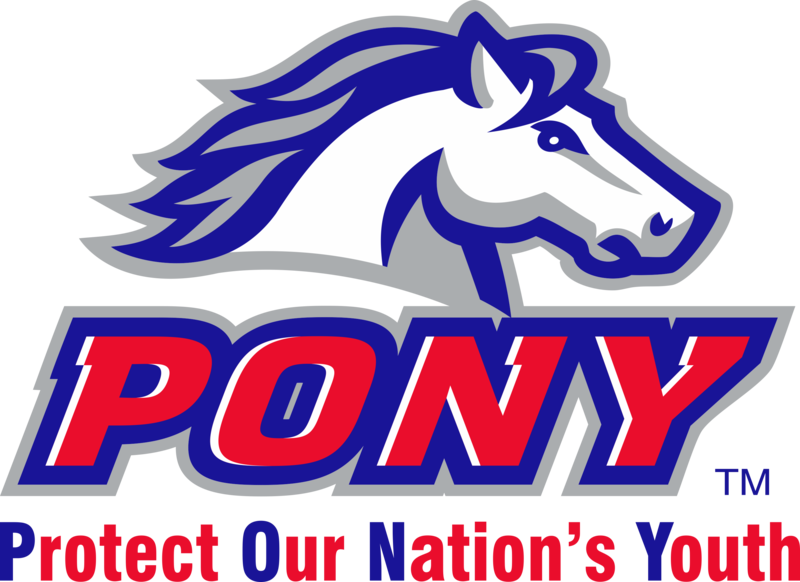 The rule change took effect at the start of the 2018 PONY Baseball season. This decision was reached after careful consideration of input from leagues, parents, coaches and other sources important in the decision-making process. By making our program younger, all players will be competing on a level playing field. This change will ensure all PONY participants will play in their true age group. IN CONJUNCTION WITH USA BASEBALL AND ITS OTHER PARTICIPATING NATIONAL MEMBER ORGANIZATIONS, PONY BASEBALL HAS ADOPTED THE NEW USA BASEBALL BAT STANDARD (USABat). EFFECTIVE JANUARY 1, 2018, WITH THE EXCEPTION OF THE -3 BAT (BBCOR CERTIFIED), ALL OTHER 2 5/8 INCH MINUS FACTOR BATS (-5, -7, -9, ETC) MUST BE YBBCOR CERTIFIED WITH THE USABat LICENSING STAMP ON THE BAT IN ORDER TO BE USED FOR LEAGUE AND TOURNAMENT PLAY. 2 5/8 INCH MINUS FACTOR BATS -5, -7, -9, ETC., USED IN 2017 WILL BE ILLEGAL TO USE IN 2018. What does the USABat logos look like on the baseball bat? Here is what the logo will look like. PONY Baseball follows a pitch count instead of an innings limit. This is recommended by MLB Pitch Smart Guidelines.